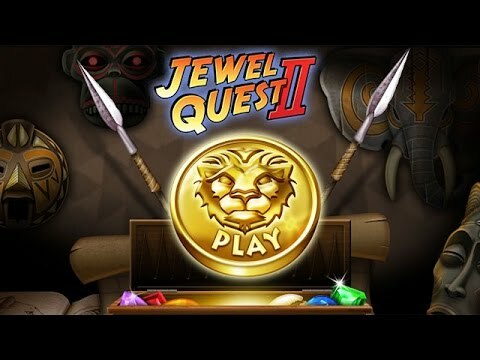 "I love Jewel Quest 2 more than any game I have ever played. I have had three different computers that have stopped working for some reason and had this game on them. Each time I bought a new computer, I have gotten the game back. Love, love, love this game!" Join Professor Pack on the ultimate jewel matching adventure across the world's richest continent. The dangers of the safari, the history of the Zimbabwe ruins, and the majesty of Victoria Falls await your discovery. Enjoy an amazing new element of fun as you pit your jewel matching skills against others around the world. Embark on a thrilling journey in a story filled with adventure, love and betrayal in Jewel Quest 2. I love this game and could play it for hours... and sometimes I do! I have told my friends to buy it and am recommending that anyone that reads this review does the same. I love this game. I am a novice and it is not hard to learn. I love this type of game. It's very interesting and keeps you busy. The first and third ones were also great. Play this game every day. Always a challenge. Highly recommend for an ever-changing game. Never the same. This game has so many levels in regular play or you can rename a player and try to outdo yourself over and over. Also has tournament play. I love the tournament mode. You get to challenge people from all around the world. It is very relaxing as well. Great game, one of my all time favorites. Lost most of my games when I got a new computer, so am glad to find out this was still available. I love this game. It is not hard, but you still have to concentrate and try to increase your speed. I found playing Jewel Quest 2 a fun challenge. You get to play against other people. Sometimes you win and sometime you lose. That`s the way it goes for this game and for life in general. I was looking for a mindless game to occupy my time and distract me from the real world. I thoroughly enjoyed playing this game.